Deborah Ann (Mensing) Thompson, died November 10th, 2018 at First Light Health Care Systems in Mora, MN after a life long struggle with Dermatomyositis. Deb was born on November 3rd, 1954 in Fargo, ND to Rev. Wayne and Margery (Rhodes) Mensing. She was a 1973 graduate of Starbuck High School, and continued on to receive a Bachelor of Arts Degree in Teaching from Concordia College, and then a Master’s Degree in Special Education from St. Cloud State University. Deb had a lifelong passion for teaching children, even though she could no longer teach in a classroom setting. Deb was married to Frank C. Thompson on June 17th, 1994. The two made their home in Mora, MN until Frank’s death in 2016. 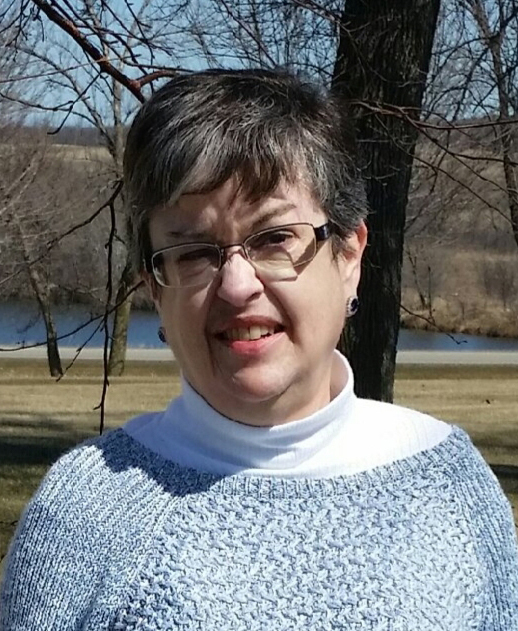 Deb found great acceptance and love in fellowship with her church family at First Presbyterian Church in Mora, and the many special friends she met during her time there. She never passed on an opportunity to sing a hymn, whether with her church choir or with the elderly in the nursing home where she enjoyed visiting regularly. As Deb’s physical mobility slowed, and her pain heightened, she still encouraged those around her and lent a sympathetic ear. Deb was always profoundly grateful for the help and encouragement she received from her case workers at Public Health, her doctors, and those who supported her at Scandia House Assisted Living in Mora, MN in her last few weeks. To Deb, family was of most importance. She always cherished the time she could spend with her mom, sister, brother-in-law, nieces/nephew and their families. Deb’s faith never wavered, and she never felt pity upon herself; instead she lived God’s life set out for her, walked strong in His promise for better days, and with the desire to share that love with everyone around her. Deb is survived by her mother, Marge Mensing of Montevideo MN; sister Paula (Mike) Hoverud of Starbuck; nieces Michelle (Michael) Moen of Starbuck, Jeannie Hoverud (Gary Verhoeff) of Belgrade; nephew Mitchell (Angela) Hoverud of Starbuck; Great-nephews Austin Hoverud and Gavin Moen; Great-nieces, Hailey Hoverud, Ava Moen and Jennifer Boyle. She is preceded in death by her husband, Frank Thompson and her father Rev. Wayne Mensing. Funeral services for Deb will be held on Wednesday, November 14, 2018 at 11:00 a.m. at the West Zion Lutheran Church, near Hancock, Minnesota, with Reverend Mike Soppeland officiating. Visitation will be on Wednesday, one hour prior to services at the church. Burial will be at the West Zion Lutheran Cemetery, Hancock. Starbuck Funeral Home in Starbuck, Minnesota is in charge of the funeral arrangements. An online guest book can be signed at www.starbuckfh.com.